The feel and sound of a grand piano is now at your fingertips, with the compact Yamaha YPG-535 portable grand keyboard. $559.99 Seen a lower price? The Yamaha Portable Grand, YPG-535 has an easy to use panel, a wealth of piano-centric features including 88 piano-style keys, Graded Soft Touch (GST) action with different levels of resistance, and high resolution stereo piano samples. It comes with an attractive matching stand, PA-150 energy saving power adapter and sustain pedal. The YPG-535 has 2 USB ports on the back, USB TO HOST and USB TO DEVICE. USB TO HOST is plug and play simple for recording and playing back MIDI files, as well as transferring data to and from your computer. USB TO DEVICE is for connecting optional peripheral USB storage devices like floppy disk drives and thumb drives. When a USB flash memory card is inserted in this instrument's USB TO DEVICE terminal, user songs created on the instrument and the registered settings can be saved to or loaded from the memory medium. USB flash memory can also be used to transfer song data downloaded from the Internet to the instrument, where it can be used with the performance assistant technology and the Yamaha Education Suite features mentioned below. Furthermore, user songs saved to USB flash memory in MIDI file format can also be used with these features. Have you ever played a song and wondered what it would look like as sheet music? The YPG-535 can display the score to a song whether it comes from the Internet, the internal selections, or ones that you record yourself, and the pages scroll automatically when a song is played back - no more page turning! And for singers, the screen also displays chords and lyrics to XF-compatible songs. And for those that want to learn to play, notation adds a new dimension to the Yamaha Education Suite, allowing you to hear a song while you follow the notes in the display. There are many tools in the keyboard that make it easy to be a power user from the first day you own the keyboard. First, the Expandable Music Database gives you complete keyboard setups by song title. The keyboard selects an appropriate voice for the right hand melody, the correct musical style and the correct tempo. Simply call up a song title and start playing. The One Touch Setting (OTS) provides you with a recommended voice with effects for each Style. For example, on a jazz style OTS might be piano, for a Latin style it might be acoustic guitar and for a rock style it might be a guitar with overdrive etc. With Registration Memory, you can set the keyboard up just the way you like and take a digital snapshot by memorizing it to one of the Registration buttons. Load and save up to 16 Registrations to User memory. The Registration buttons are conveniently located just above the keyboard. Performance assistant technology is a feature from Yamaha that guarantees that you can't play a wrong melody note or chord. Here's how it works. Select a song, press the Performance Assistant button Chord Mode and play the keyboard - any notes you like. Every note you play will fit the music! If you move up the keyboard, the pitch goes up. If you move down, the pitch goes down. Play a perfect arpeggio, or play chords in time with the music, or really "go for it" and play a solo. As long as performance assistant is "on", you're "on". Imagine being able to give a concert to your friends or relatives the very first day that you bring this remarkable keyboard home. Well, with the YPG-535 and performance assistant technology, you can! The YPG-535 offers four selectable types that work with any of the internal songs with chords plus any XF MIDI files. No matter where or what you play, the result will be musical, well-balanced sound. This type offers the greatest freedom, allowing you to play anything with both your left and right hands. If you can play simple right-hand melodies but have trouble with left hand chords, this is the type for you. The Chord type applies to only the left-hand section of the keyboard, allowing you to easily play chords to support the melody you are playing with your right hand. This type lets you play the melody of the selected song by playing any keys with just one finger. Start playing melodies right away, even if you've never played a keyboard instrument before! Play the melody of the selected song with one finger on the right-hand section of the keyboard, and play chords on the left-hand section of the keyboard using the Chord type. Waiting Mode - stops the playback of a song until you find the correct note and then continues. Your Tempo Mode - Learn to play the correct notes with the correct timing. Song playback tempo will vary to match the speed you are playing at. The song will slow down when you play wrong notes, so you can learn at your own pace. Minus One Mode - Here's where you can perfect your technique. The song will play at the normal tempo, minus the part you have chosen to play. Play along while listening to the song. Lesson Grading - monitors your progress as you practice each lesson and gives you a grade. Repeat and Learn - The song location will move back four measures from the point at which you pressed the button, and playback will begin after a one measure count-in. This section will repeat allowing you to practice until perfect! Chord Dictionary - shows you how to play chords and tells you which chords you are playing by displaying the notes and chord names on the LCD screen. Imagine capturing your child's first performance or writing and recording your own songs. With the YPG-535, you have the equivalent of a built-in multi-track recorder to record one or multiple instrument parts at a time and assign each part to a different track. Six tracks are provided to accommodate sophisticated melodies, chord accompaniment and rhythm parts. Dual Mode allows you to combine two voices across the keyboard at the same time - for example piano and strings. Split Mode allows you to select a different voice for each hand - for example piano for your right and bass for your left. The combinations are limited only by your imagination. In electronic keyboards, the more sounds made at the same time (polyphony), the more memory is needed. Obviously, more is always better, because too little polyphony can cause dropouts in dense passages of music. The YPG-535 has 32 notes of polyphony and will play back 16 different parts or sounds at once (16-part multi timbrel); enough for the most demanding needs. In addition to the 100 songs mentioned above, the YPG-535 also has auto accompaniment styles that "follow" your playing. Simply select a style of music from the 160 built-in Styles (example Rock), play a chord and the YPG-535 will create a backup band (bass, drums, strings, guitar etc.) and "follow" you through the song. You can play your songs and try different genres of music. You're never more than a button push away from the most realistic piano sound in portable keyboards today. One press of the Portable Grand button resets the entire keyboard to a high resolution stereo-sampled piano - perfect for when it's time to practice. Yamaha is known around the world for the quality of our acoustic pianos and this attention to detail is evident as you enjoy the warmth and clarity of the YPG-535 Portable Grand piano. And of course, the keyboard includes a Sustain Pedal jack in the back and Sustain Pedal for practicing and playing piano pieces. The YPG-535 features USB TO HOST, USB TO DEVICE, Sustain Pedal jack and a Headphone jack for private practice. Yamaha has been serving the needs of the music community since they manufactured their first reed organs in the late 1800's. Since then, they have expanded their vision to encompass every facet of the music industry. Their holistic approach includes musical instruments, live sound and recording equipment, and music instructional materials. As one of the few companies to produce both instruments and recording/sound reinforcement products, Yamaha Corporation is in a unique position to improve the overall quality of their line. Their technological advancements in engineering and design can be incorporated into their musical instruments for improved functionality. Similarly, they can ensure their live sound and recording gear is designed to take advantage of the enhanced functionality of their instruments. 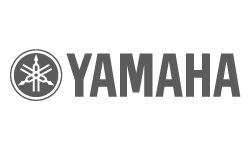 High quality standards are apparent in every product Yamaha manufactures. Guitars, basses, drums, keyboards, effects, cables, monitors, digital workstations, mixers, control surfaces, PA speakers, headphones, and more all receive the same attention to detail, for years of trouble-free use. Polyphony - 32 note max. Available until 11 PM (EST) today. Mention special code 20N-15G0 when you call.